For the German-American International Master, see Edward Lasker. Emanuel Lasker (December 24, 1868 – January 11, 1941) was a German chess player, mathematician, and philosopher who was World Chess Champion for 27 years, from 1894 to 1921, the longest reign of any officially recognised World Chess Champion in history. In his prime, Lasker was one of the most dominant champions, and he is still generally regarded as one of the strongest players ever. Lasker made contributions to the development of other games. He was a first-class contract bridge player and wrote about bridge, Go, and his own invention, Lasca. His books about games presented a problem that is still considered notable in the mathematical analysis of card games. Lasker was also a research mathematician who was known for his contributions to commutative algebra, which included proving the primary decomposition of the ideals of polynomial rings. His philosophical works and a drama that he co-wrote, however, received little attention. Emanuel Lasker was born on December 24, 1868 at Berlinchen in Neumark (now Barlinek in Poland), the son of a Jewish cantor. At the age of eleven he was sent to Berlin to study mathematics, where he lived with his brother Berthold, eight years his senior, who taught him how to play chess. Berthold was among the world's top ten players in the early 1890s. To supplement their income Emanuel Lasker played chess and card games for small stakes, especially at the Café Kaiserhof. Lasker finished second in an international tournament at Amsterdam, ahead of some well-known masters, including Isidore Gunsberg (assessed as the second strongest player in the world at that time by Chessmetrics). In 1890 he finished third in Graz, then shared first prize with his brother Berthold in a tournament in Berlin. In spring 1892, he won two tournaments in London, the second and stronger of these without losing a game. At New York City 1893, he won all thirteen games, one of the few times in chess history that a player has achieved a perfect score in a significant tournament. His record in matches was equally impressive: at Berlin in 1890 he drew a short play-off match against his brother Berthold; and won all his other matches from 1889 to 1893, mostly against top-class opponents: Curt von Bardeleben (1889; ranked 9th best player in the world by Chessmetrics at that time), Jacques Mieses (1889; ranked 11th), Henry Edward Bird (1890; then 60 years old; ranked 29th), Berthold Englisch (1890; ranked 18th), Joseph Henry Blackburne (1892, without losing a game; Blackburne was aged 51 then, but still 9th in the world), Jackson Showalter (1892–93; 22nd) and Celso Golmayo Zúpide (1893; 29th). Chessmetrics calculates that Emanuel Lasker became the world's strongest player in mid-1890, and that he was in the top ten from the very beginning of his recorded career in 1889. In 1892 Lasker founded the first of his chess magazines, The London Chess Fortnightly, which was published from August 15, 1892 to July 30, 1893. In the second quarter of 1893 there was a gap of ten weeks between issues, allegedly because of problems with the printer. Shortly after its last issue Lasker traveled to the US, where he spent the next two years. 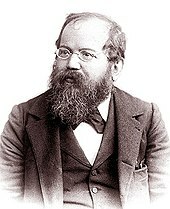 Rebuffed by Tarrasch, Lasker challenged the reigning World Champion Wilhelm Steinitz to a match for the title. Initially Lasker wanted to play for US $5,000 a side and a match was agreed at stakes of $3,000 a side, but Steinitz agreed to a series of reductions when Lasker found it difficult to raise the money. The final figure was $2,000, which was less than for some of Steinitz' earlier matches (the final combined stake of $4,000 would be worth over $495,000 at 2006 values). Although this was publicly praised as an act of sportsmanship on Steinitz' part, Steinitz may have desperately needed the money. The match was played in 1894, at venues in New York, Philadelphia, and Montreal. Steinitz had previously declared he would win without doubt, so it came as a shock when Lasker won the first game. Steinitz responded by winning the second, and maintained the balance through the sixth. However, Lasker won all the games from the seventh to the eleventh, and Steinitz asked for a week's rest. When the match resumed, Steinitz looked in better shape and won the 13th and 14th games. Lasker struck back in the 15th and 16th, and Steinitz did not compensate for his losses in the middle of the match. Hence Lasker won convincingly with ten wins, five losses and four draws. Lasker thus became the second formally recognized World Chess Champion, and confirmed his title by beating Steinitz even more convincingly in their re-match in 1896–97 (ten wins, two losses, and five draws). Influential players and journalists belittled the 1894 match both before and after it took place. Lasker's difficulty in getting backing may have been caused by hostile pre-match comments from Gunsberg and Leopold Hoffer, who had long been a bitter enemy of Steinitz. One of the complaints was that Lasker had never played the other two members of the top four, Siegbert Tarrasch and Mikhail Chigorin – although Tarrasch had rejected a challenge from Lasker in 1892, publicly telling him to go and win an international tournament first. After the match, some commentators, notably Tarrasch, said Lasker had won mainly because Steinitz was old (58 in 1894). Emanuel Lasker answered these criticisms by creating an even more impressive playing record. Before World War I broke out, his most serious "setbacks" were third place at Hastings 1895 (where he may have been suffering from the after-effects of typhoid fever), a tie for second at Cambridge Springs 1904, and a tie for first at the Chigorin Memorial in St Petersburg 1909. He won first prizes at very strong tournaments in St Petersburg (1895–96, Quadrangular), Nuremberg (1896), London (1899), Paris (1900) and St Petersburg (1914), where he overcame a 1½-point deficit to finish ahead of the rising stars, Capablanca and Alexander Alekhine, who later became the next two World Champions. For decades chess writers have reported that Tsar Nicholas II of Russia conferred the title of "Grandmaster of Chess" upon each of the five finalists at St Petersburg 1914 (Lasker, Capablanca, Alekhine, Tarrasch and Marshall), but chess historian Edward Winter has questioned this, stating that the earliest known sources supporting this story were published in 1940 and 1942. Lasker's match record was as impressive between his 1896–97 re-match with Steinitz and 1914: he won all but one of his normal matches, and three of those were convincing defenses of his title. He first faced Marshall in the World Chess Championship 1907, when despite his aggressive style, Marshall could not win a single game, losing eight and drawing seven (final score: 11½−3½). Lasker gave a brilliant answer on the chessboard, winning four of the first five games, and playing a type of chess Tarrasch could not understand. For example, in the second game after 19 moves arose a situation (see diagram) in which Lasker was a pawn down, with a bad bishop and doubled pawns. At this point it appeared Tarrasch was winning, but 20 moves later he was forced to resign. Lasker eventually won by 10½−5½ (eight wins, five draws, and three losses). Tarrasch claimed the wet weather was the cause of his defeat. In 1909 Lasker drew a short match (two wins, two losses) against Dawid Janowski, an all-out attacking Polish expatriate. Several months later they played a longer match in Paris, and chess historians still debate whether this was for the World Chess Championship. Understanding Janowski's style, Lasker chose to defend solidly so that Janowski unleashed his attacks too soon and left himself vulnerable. Lasker easily won the match 8–2 (seven wins, two draws, one loss). This victory was convincing for everyone but Janowski, who asked for a revenge match. Lasker accepted and they played a World Chess Championship match in Berlin in November–December 1910. Lasker crushed his opponent, winning 9½−1½ (eight wins, three draws, no losses). Janowski did not understand Lasker's moves, and after his first three losses he declared to Edward Lasker, "Your homonym plays so stupidly that I cannot even look at the chessboard when he thinks. I am afraid I will not do anything good in this match." Schlechter would have taken Lasker's world title if he had won or drawn the last game of their 1910 match. At the beginning, Lasker tried to attack but Schlechter had no difficulty defending, so that the first four games finished in draws. In the fifth game Lasker had a big advantage, but committed a blunder that cost him the game. Hence at the middle of the match Schlechter was one point ahead. The next four games were drawn, despite fierce play from both players. In the sixth Schlechter managed to draw a game being a pawn down. In the seventh Lasker nearly lost because of a beautiful exchange sacrifice from Schlechter. In the ninth only a blunder from Lasker allowed Schlechter to draw a lost ending. The score before the last game was thus 5–4 for Schlechter. In the tenth game Schlechter tried to win tactically and took a big advantage, but he missed a clear win at the 35th move, continued to take increasing risks and finished by losing. Hence the match was a draw and Lasker remained World Champion. Late in 1912 Lasker entered into negotiations for a world title match with Akiba Rubinstein, whose tournament record for the previous few years had been on a par with Lasker's and a little ahead of Capablanca's. The two players agreed to play a match if Rubinstein could raise the funds, but Rubinstein had few rich friends to back him and the match was never played. This situation demonstrated some of the flaws inherent in the championship system then being used. The start of World War I in summer 1914 put an end to hopes that Lasker would play either Rubinstein or Capablanca for the World Championship in the near future. Throughout World War I (1914–1918) Lasker played in only two serious chess events. He convincingly won (5½−½) a non-title match against Tarrasch in 1916. In September–October 1918, shortly before the armistice, he won a quadrangular (four-player) tournament, half a point ahead of Rubinstein. In 1895 Lasker published two mathematical articles in Nature. On the advice of David Hilbert he registered for doctoral studies at Erlangen during 1900–1902. In 1901 he presented his doctoral thesis Über Reihen auf der Convergenzgrenze ("On Series at Convergence Boundaries") at Erlangen and in the same year it was published by the Royal Society. He was awarded a doctorate in mathematics in 1902. His most significant mathematical article, in 1905, published a theorem of which Emmy Noether developed a more generalized form, which is now regarded as of fundamental importance to modern algebra and algebraic geometry. In 1896–97 Lasker published his book Common Sense in Chess, based on lectures he had given in London in 1895. At the age of 42, in July 1911, Lasker married Martha Cohn (née Bamberger), a rich widow who was a year older than Lasker and already a grandmother. They lived in Berlin. Martha Cohn wrote popular stories under the pseudonym "L. Marco". During World War I, Lasker invested all of his savings in German war bonds, which lost nearly their entire value with the wartime and post-war inflation. During the war, he wrote a pamphlet which claimed that civilization would be in danger if Germany lost the war. A report in the American Chess Bulletin (July–August 1920 issue) said that Lasker had resigned the world title in favor of Capablanca because the conditions of the match were unpopular in the chess world. The American Chess Bulletin speculated that the conditions were not sufficiently unpopular to warrant resignation of the title, and that Lasker's real concern was that there was not enough financial backing to justify his devoting nine months to the match. When Lasker resigned the title in favor of Capablanca he was unaware that enthusiasts in Havana had just raised $20,000 to fund the match provided it was played there. When Capablanca learned of Lasker's resignation he went to the Netherlands, where Lasker was living at the time, to inform him that Havana would finance the match. In August 1920 Lasker agreed to play in Havana, but insisted that he was the challenger as Capablanca was now the champion. Capablanca signed an agreement that accepted this point, and soon afterwards published a letter confirming this. Lasker also stated that, if he beat Capablanca, he would resign the title so that younger masters could compete for it. The match was played in March–April 1921. After four draws, the fifth game saw Lasker blunder with Black in an equal ending. Capablanca's solid style allowed him to easily draw the next four games, without taking any risks. In the tenth game, Lasker as White played a position with an isolated queen pawn but failed to create the necessary activity and Capablanca reached a superior ending, which he duly won. The eleventh and fourteenth games were also won by Capablanca, and Lasker resigned the match. Reuben Fine and Harry Golombek attributed this to Lasker's being in mysteriously poor form. On the other hand, Vladimir Kramnik thought that Lasker played quite well and the match was an "even and fascinating fight" until Lasker blundered in the last game, and explained that Capablanca was 20 years younger, a slightly stronger player, and had more recent competitive practice. Lasker was in his early 50s when he lost the world championship to Capablanca, and he retired from serious match play afterwards; his only other match was a short exhibition against Frank James Marshall in 1940, which Lasker lost. After winning the Moravská Ostrava 1923 chess tournament (without a single loss), the New York 1924 chess tournament (1½ points ahead of Capablanca) and finishing second at Moscow in 1925 (1½ points behind Efim Bogoljubow, ½ point ahead of Capablanca), he effectively retired from serious chess. In 1926, Lasker wrote Lehrbuch des Schachspiels, which he re-wrote in English in 1927 as Lasker's Manual of Chess. He also wrote books on other games of mental skill: Encyclopedia of Games (1929) and Das verständige Kartenspiel (means "Sensible Card Play"; 1929; English translation in the same year), both of which posed a problem in the mathematical analysis of card games; Brettspiele der Völker ("Board Games of the Nations"; 1931), which includes 30 pages about Go and a section about a game he had invented in 1911, Lasca. In spring 1933 Adolf Hitler started a campaign of discrimination and intimidation against Jews, depriving them of their property and citizenship. Lasker and his wife Martha, who were both Jewish, were forced to leave Germany in the same year. After a short stay in England, in 1935 they were invited to live in the USSR by Nikolai Krylenko, the Commissar of Justice who was responsible for the Moscow show trials and, in his other capacity as Sports Minister, was an enthusiastic supporter of chess. In the USSR, Lasker renounced his German citizenship and received Soviet citizenship. He took permanent residence in Moscow, and was given a post at Moscow's Institute for Mathematics and a post of trainer of the USSR national team. Lasker returned to competitive chess to make some money, finishing fifth in Zürich 1934 and third in Moscow 1935 (undefeated, ½ point behind Mikhail Botvinnik and Salo Flohr; ahead of Capablanca, Rudolf Spielmann and several Soviet masters), sixth in Moscow 1936 and seventh equal in Nottingham 1936. His performance in Moscow 1935 at age 66 was hailed as "a biological miracle". Joseph Stalin's Great Purge started at about the same time the Laskers arrived in the USSR. In August 1937, Martha and Emanuel Lasker decided to leave the Soviet Union, and they moved, via the Netherlands, to the United States (first Chicago, next New York) in October 1937. The next year Emanuel Lasker's patron, Krylenko, was removed from his office and executed. Meanwhile, in the United States Lasker tried to support himself by giving chess and bridge lectures and exhibitions, as he was now too old for serious competition. In 1940 he published his last book, The Community of the Future, in which he proposed solutions for serious political problems, including anti-Semitism and unemployment. Lasker died of a kidney infection in New York on January 11, 1941, at the age of 72, as a charity patient at the Mount Sinai Hospital. He was buried at historic Beth Olom Cemetery, Queens, New York. His wife Martha and his sister, Mrs. Lotta Hirschberg, survived him. Lasker himself denied the claim that he deliberately played bad moves, and most modern writers agree. According to Grandmaster Andrew Soltis and International Master John L. Watson, the features that made his play mysterious to contemporaries now appear regularly in modern play: the g2–g4 "Spike" attack against the Dragon Sicilian; sacrifices to gain positional advantage; playing the "practical" move rather than trying to find the best move; counterattacking and complicating the game before a disadvantage became serious. Former World Champion Vladimir Kramnik said, "He realized that different types of advantage could be interchangeable: tactical edge could be converted into strategic advantage and vice versa", which mystified contemporaries who were just becoming used to the theories of Steinitz as codified by Siegbert Tarrasch. The famous win against José Raúl Capablanca at St. Petersburg in 1914, which Lasker needed in order to retain any chance of catching up with Capablanca, is sometimes offered as evidence of his "psychological" approach. Reuben Fine describes Lasker's choice of opening, the Exchange Variation of the Ruy Lopez, as "innocuous but psychologically potent". However, an analysis of Lasker's use of this variation throughout his career concludes that he had excellent results with it as White against top-class opponents, and sometimes used it in "must-win" situations. Luděk Pachman writes that Lasker's choice presented his opponent with a dilemma: with only a ½ point lead, Capablanca would have wanted to play safe; but the Exchange Variation's pawn structure gives White an endgame advantage, and Black must use his bishop pair aggressively in the middlegame to nullify this. In Kramnik's opinion, Lasker's play in this game demonstrated deep positional understanding, rather than psychology. Fine reckoned Lasker paid little attention to the openings, but Capablanca thought Lasker knew the openings very well but disagreed with a lot of contemporary opening analysis. In fact before the 1894 world title match, Lasker studied the openings thoroughly, especially Steinitz's favorite lines. He played primarily e4 openings, particularly the Ruy Lopez. He opened with 1.d4 relatively rarely, although his d4 games had a higher winning percentage than his e4 ones. With the Black pieces, he mainly answered 1.e4 with the French Defense and 1.d4 with the Queen's Gambit. Lasker also used the Sicilian Defense fairly often. In Capablanca's opinion, no player surpassed Lasker in the ability to assess a position quickly and accurately, in terms of who had the better prospects of winning and what strategy each side should adopt. Capablanca also wrote that Lasker was so adaptable that he played in no definite style, and that he was both a tenacious defender and a very efficient finisher of his own attacks. Lasker followed Steinitz's principles, and both demonstrated a completely different chess paradigm than the “romantic” mentality before them. Thanks to Steinitz and Lasker, positional players gradually became common (Tarrasch, Schlechter, and Rubinstein stand out.) But, while Steinitz created a new school of chess thought, Lasker’s talents were far harder for the masses to grasp; hence there was no Lasker school. In addition to his enormous chess skill, Lasker was said to have an excellent competitive temperament: his rival Siegbert Tarrasch once said, "Lasker occasionally loses a game, but he never loses his head." Lasker enjoyed the need to adapt to varying styles and to the shifting fortunes of tournaments. Although very strong in matches, he was even stronger in tournaments. For over 20 years, he always finished ahead of the younger Capablanca: at St. Petersburg 1914, New York 1924, Moscow 1925, and Moscow 1935. Only in 1936 (15 years after their match), when Lasker was 67, did Capablanca finish ahead of him. Statistical ranking systems place Lasker high among the greatest players of all time. The book Warriors of the Mind places him sixth, behind Garry Kasparov, Anatoly Karpov, Fischer, Mikhail Botvinnik and Capablanca. In his 1978 book The Rating of Chessplayers, Past and Present, Arpad Elo gave retrospective ratings to players based on their performance over the best five-year span of their career. He concluded that Lasker was the joint second strongest player of those surveyed (tied with Botvinnik and behind Capablanca). The most up-to-date system, Chessmetrics, is rather sensitive to the length of the periods being compared, and ranks Lasker between fifth and second strongest of all time for peak periods ranging in length from one to twenty years. Its author, the statistician Jeff Sonas, concluded that only Kasparov and Karpov surpassed Lasker's long-term dominance of the game. By Chessmetrics' reckoning, Lasker was the number 1 player in 292 different months—a total of over 24 years. His first No. 1 rank was in June 1890, and his last in December 1926—a span of 36½ years. Chessmetrics also considers him the strongest 67-year-old in history: in December 1935, at age 67 years and 0 months, his rating was 2691 (number 7 in the world), well above second-place Viktor Korchnoi's rating at that age (2660, number 39 in the world, in March 1998). Lasker founded no school of players who played in a similar style. Max Euwe, World Champion 1935–1937 and a prolific writer of chess manuals, who had a lifetime 0–3 score against Lasker, said, "It is not possible to learn much from him. One can only stand and wonder." However, Lasker's pragmatic, combative approach had a great influence on Soviet players like Mikhail Tal and Viktor Korchnoi. One of Lasker's most famous games is Lasker–Bauer, Amsterdam 1889, in which he sacrificed both bishops in a maneuver later repeated in a number of games. Similar sacrifices had already been played by Cecil Valentine De Vere and John Owen, but these were not in major events and Lasker probably had not seen them. Lasker was shocked by the poverty in which Wilhelm Steinitz died and did not intend to die in similar circumstances. He became notorious for demanding high fees for playing matches and tournaments, and he argued that players should own the copyright in their games rather than let publishers get all the profits. These demands initially angered editors and other players, but helped to pave the way for the rise of full-time chess professionals who earn most of their living from playing, writing and teaching. Copyright in chess games had been contentious at least as far back as the mid-1840s, and Steinitz and Lasker vigorously asserted that players should own the copyright and wrote copyright clauses into their match contracts. However, Lasker's demands that challengers should raise large purses prevented or delayed some eagerly awaited World Championship matches—for example Frank James Marshall challenged him in 1904 to a match for the World Championship but could not raise the stakes demanded by Lasker until 1907. This problem continued throughout the reign of his successor Capablanca. Poet Else Lasker-Schüler was his sister-in-law. Edward Lasker, born in Kempen (Kępno), Greater Poland (then Prussia), the German-American chess master, engineer, and author, claimed that he was distantly related to Emanuel Lasker. They both played in the great New York 1924 chess tournament. Lasker's Chess Magazine cover from November 1906. Lehrbuch des Schachspiels, 1926 – English version Lasker's Manual of Chess published in 1927. Das verständige Kartenspiel (Sensible Card Play), 1929 – English translation published in the same year. Brettspiele der Völker (Board Games of the Nations), 1931 – includes sections about Go and Lasca. Lasker, Emanuel (August 1895). "Metrical Relations of Plane Spaces of n Manifoldness". Nature. 52 (1345): 340–343. Bibcode:1895Natur..52R.340L. doi:10.1038/052340d0. Retrieved 2008-05-31. Lasker, Emanuel (October 1895). "About a certain Class of Curved Lines in Space of n Manifoldness". Nature. 52 (1355): 596–596. Bibcode:1895Natur..52..596L. doi:10.1038/052596a0. Retrieved 2008-05-31. Lasker, Emanuel (1901). "Über Reihen auf der Convergenzgrenze ( "On Series at Convergence Boundaries" )". Philosophical Transactions of the Royal Society A. 196 (274–286): 431–477. Bibcode:1901RSPTA.196..431L. doi:10.1098/rsta.1901.0009. – Lasker's Ph.D. thesis. Lasker, E. (1905). "Zur Theorie der Moduln und Ideale". Math. Ann. 60 (1): 19–116. doi:10.1007/BF01447495. Vom Menschen die Geschichte ("History of Mankind"), 1925 – a play, co-written with his brother Berthold. In Michael Chabon's alternate history mystery novel, The Yiddish Policemen's Union, the murdered man, Mendel Shpilman (born during the 1960s), being a chess enthusiast, uses the name "Emanuel Lasker" as an alias. The reference is clearly understood by the protagonist, Detective Meyer Landsman, because he has also studied chess. 1889 Breslau "B" 1st = 12/15 +11−2;=2 Tied with von Feyerfeil and won the play-off. This was Hauptturnier A of the sixth DSB Congress, i.e. the "second-division" tournament. 1889 Amsterdam "A" tournament 2nd 6/8 +5−1=2 Behind Amos Burn; ahead of James Mason, Isidor Gunsberg and others. This was the stronger of the two Amsterdam tournaments held at that time. 1890 Berlin 1–2 6½/8 +6−1=1 Tied with his brother Berthold Lasker. 1890 Graz 3rd 4/6 +3−1=2 Behind Gyula Makovetz and Johann Hermann Bauer. 1892 London 1st 9/11 +8−1=2 Ahead of Mason and Rudolf Loman. 1892 London 1st 6½/8 +5−0=3 Ahead of Joseph Henry Blackburne, Mason, Gunsberg and Henry Edward Bird. 1893 New York City 1st 13/13 +13−0=0 Ahead of Adolf Albin, Jackson Showalter and a newcomer named Harry Nelson Pillsbury. 1895 Hastings 3rd 15½/21 +14−4=3 Behind Pillsbury and Mikhail Chigorin; ahead of Siegbert Tarrasch, Wilhelm Steinitz and the rest of a strong field. 1895/96 St. Petersburg 1st 11½/18 +8−3=7 A Quadrangular tournament; ahead of Steinitz (by two points), Pillsbury and Chigorin. 1896 Nuremberg 1st 13½/18 +12−3=3 Ahead of Géza Maróczy, Pillsbury, Tarrasch, Dawid Janowski, Steinitz and the rest of a strong field. 1899 London 1st 23½/28 +20−1=7 Ahead of Janowski, Pillsbury, Maróczy, Carl Schlechter, Blackburne, Chigorin and several other strong players. 1900 Paris 1st 14½/16 +14−1=1 Ahead of Pillsbury (by two points), Frank James Marshall, Maróczy, Burn, Chigorin and several others. 1904 Cambridge Springs 2nd = 11/15 +9−2=4 Tied with Janowski; two points behind Marshall; ahead of Georg Marco, Showalter, Schlechter, Chigorin, Jacques Mieses, Pillsbury and others. 1906 Trenton Falls 1st 5/6 +4−0=2 A Quadrangular tournament; ahead of Curt, Albert Fox and Raubitschek. 1909 St. Petersburg 1st = 14½/18 +13−2=3 Tied with Akiba Rubinstein; ahead of Oldřich Duras and Rudolf Spielmann (by 3½ points), Ossip Bernstein, Richard Teichmann and several other strong players. 1914 St. Petersburg 1st 13½/18 +10−1=7 Ahead of José Raúl Capablanca, Alexander Alekhine, Tarrasch and Marshall. This tournament had an unusual structure: there was a preliminary tournament in which eleven players played each other player once; the top five players then played a separate final tournament in which each player who made the "cut" played the other finalists twice; but their scores from the preliminary tournament were carried forward. Even the preliminary tournament would now be considered a "super-tournament". Capablanca "won" the preliminary tournament by 1½ points without losing a game, but Lasker achieved a plus score against all his opponents in the final tournament and finished with a combined score ½ point ahead of Capablanca's. 1918 Berlin 1st 4½/6 +3−0=3 Quadrangular tournament. Ahead of Rubinstein, Schlechter and Tarrasch. 1923 Moravská Ostrava 1st 10½/13 +8−0=5 Ahead of Richard Réti, Ernst Grünfeld, Alexey Selezniev, Savielly Tartakower, Max Euwe and other strong players. 1924 New York City 1st 16/20 +13−1=6 Ahead of Capablanca (by 1½ points), Alekhine, Marshall, and the rest of a very strong field. 1925 Moscow 2nd 14/20 +10−2=8 Behind Efim Bogoljubow; ahead of Capablanca, Marshall, Tartakower, Carlos Torre, other strong non-Soviet players and the leading Soviet players. 1934 Zürich 5th 10/15 +9−4=2 Behind Alekhine, Euwe, Salo Flohr and Bogoljubow; ahead of Bernstein, Aron Nimzowitsch, Gideon Ståhlberg and various others. 1935 Moscow 3rd 12½/19 +6−0=13 half a point behind Mikhail Botvinnik and Flohr; ahead of Capablanca, Spielmann, Ilya Kan, Grigory Levenfish, Andor Lilienthal, Viacheslav Ragozin and others. Emanuel Lasker was about 67 years old at the time. 1936 Moscow 6th 8/18 +3−5=10 Capablanca won. 1936 Nottingham 7–8th 8½/14 +6−3=5 Capablanca and Botvinnik tied for first place. Emanuel Lasker vs. Johann Hermann Bauer, Amsterdam 1889. Although this was not the earliest-known game with a successful two-bishops sacrifice, this combination is now known as a "Lasker–Bauer combination" or "Lasker sacrifice". Harry Nelson Pillsbury vs. Emanuel Lasker, St Petersburg 1895. A brilliant sacrifice on the 17th move leads to a victorious attack. Wilhelm Steinitz vs. Emanuel Lasker, London 1899. The old champion and the new one really go for it. Frank James Marshall vs. Emanuel Lasker, World Championship Match 1907, game 1. Lasker's attack is insufficient for a quick win, so he trades it in for an endgame in which he quickly ties Marshall in knots. Emanuel Lasker vs. Carl Schlechter, match 1910, game 10. Not a great game, but the one that saved Lasker from losing his world title in 1910. Emanuel Lasker vs. Jose Raul Capablanca, St Petersburg 1914. Lasker, who needed a win here, surprisingly used a quiet opening, allowing Capablanca to simplify the game early. There has been much debate about whether Lasker's approach represented subtle psychology or deep positional understanding. Max Euwe vs. Emanuel Lasker, Zurich 1934. 66-year-old Lasker beats a future World Champion, sacrificing his queen to turn defence into attack. ^ a b A detailed examination of Emanuel Lasker’s involvement in bridge is provided by the chapter Nicht nur Schach Emanuel Lasker als Bridgespieler by Robert van de Velde on pages 332-363 of Emanuel Lasker Denker Weltenbürger Schachweltmeister edited by Richard Forster, Stefan Hansen and Michael Negele (Berlin, 2009). ^ Jeff Sonas. "Chessmetrics Player Profile: Berthold Lasker". Chessmetrics. Retrieved 2008-05-30. ^ a b c d e f g Tyle, L.B., ed. (2002). UXL Encyclopedia of World Biography. U·X·L. ISBN 0-7876-6465-0. Retrieved 2008-05-30. ^ a b c d e f g h i j Fine, Reuben (1952). "Emanuel Lasker". The World's Great Chess Games. Andre Deutsch (now as paperback from Dover). ISBN 0-679-13046-2. ^ "The Start of a Chess Career", from Lasker & His Contemporaries, issue 1, published by Thinkers Press, Inc.
^ Jeff Sonas. "Chessmetrics Player Profile: Isidor Gunsberg". Chessmetrics. ^ a b c d e "I tornei di scacchi dal 1880 al 1899". La grande storia degli scacchi. Retrieved 2009-09-04. ^ Thulin, A. (August 2007). "Steinitz—Chigorin, Havana 1899 - A World Championship Match or Not?" (PDF). Archived from the original (PDF) on 2008-05-30. Retrieved 2008-12-03. ^ a b c d "I matches 1880/99". La grande storia degli scacchi. Retrieved 2009-09-04. ^ Di Felice, Gino (2004). Chess Results, 1747-1900. McFarland & Company. pp. 121–123. ISBN 0-7864-2041-3. ^ Di Felice, Gino (2004). Chess Results, 1747-1900. McFarland & Company. pp. 133–134. ISBN 0-7864-2041-3. ^ a b Gillam, A.J. (2008). London March 1892; London March/April 1892; Belfast 1892. The Chess Player. ISBN 978-1-901034-59-2. Retrieved 2008-11-23. ^ Di Felice, Gino (2004). Chess Results, 1747-1900. McFarland & Company. p. 142. ISBN 0-7864-2041-3. ^ a b c d "Ready for a big chess match" (PDF). New York Times. 11 March 1894. Retrieved 2008-05-30. Note: this article implies that the combined stake was $4,500, but Lasker wrote that it was $4,000: "From the Editorial Chair". Lasker's Chess Magazine. 1. January 1905. Retrieved 2008-05-31. ^ Hooper, David; Whyld, Kenneth (1992). The Oxford Companion to Chess. Oxford University Press. p. 81. ISBN 0-19-866164-9. ^ Soltis, Andrew (2002). Chess Lists Second Edition. McFarland & Company. pp. 81–83. ISBN 0-7864-1296-8. ^ Sunnucks, Anne (1970). The Encyclopaedia of Chess. St. Martin's Press. p. 76. ISBN 0-7091-1030-8. ^ Jeff Sonas. "Chessmetrics Player Profile: Curt von Bardeleben". Chessmetrics. Retrieved 2008-05-30. ^ Jeff Sonas. "Chessmetrics Player Profile: Jacques Mieses". Chessmetrics. Retrieved 2008-05-30. ^ Jeff Sonas. "Chessmetrics Player Profile: Henry Bird". Chessmetrics. Retrieved 2008-05-30. ^ Jeff Sonas. "Chessmetrics Player Profile: Berthold Englisch". Chessmetrics. Retrieved 2008-05-30. ^ Jeff Sonas. "Chessmetrics Player Profile: Joseph Blackburne". Chessmetrics. Retrieved 2008-05-30. ^ Jeff Sonas. "Chessmetrics Player Profile: Jackson Showalter". Chessmetrics. Retrieved 2008-05-30. ^ Jeff Sonas. "Chessmetrics Player Profile: Celso Golmayo Zúpide". Chessmetrics. Retrieved 2008-05-30. ^ a b c Select the "Career details" option at Jeff Sonas. "Chessmetrics Player Profile: Emanuel Lasker (career details)". Chessmetrics.com. Retrieved 2008-05-30. ^ Jeff Sonas. "Chessmetrics Monthly Lists: 1885–1895". Chessmetrics. Retrieved 2008-05-30. ^ Jeff Sonas. "Chessmetrics Summary: 1885–1895". Chessmetrics. Retrieved 2008-05-30. ^ a b c Lasker, Emanuel. The London Chess Fortnightly (PDF). Moravian Chess. Retrieved 2008-06-06. ^ a b Hannak, J. (1959). Emanuel Lasker: The Life of a Chess Master. Simon & Schuster. p. 31. ISBN 0-486-26706-7. ^ Using incomes for the adjustment factor, as the outcome depended on a few months' hard work by the players; if prices are used for the conversion, the result is over $99,000—see "Six Ways to Compute the Relative Value of a U.S. Dollar Amount, 1774 to Present". MeasuringWorth. Retrieved 2008-05-30. However, Lasker later published an analysis showing that the winning player got $1,600 and the losing player $600 out of the $4,000, as the backers who had bet on the winner got the rest: "From the Editorial Chair". Lasker's Chess Magazine. 1. January 1905. Retrieved 2008-05-31. ^ "The Steinitz Papers - review". ChessVille. Retrieved 2008-05-30. ^ Kažić, B. M. (1974). International Championship Chess: A Complete Record of FIDE Events. Pitman. p. 212. ISBN 0-273-07078-9. ^ a b Giffard, Nicolas (1993). Le Guide des Échecs (in French). Éditions Robert Laffont. p. 394. ^ "Lasker v. Steinitz - World Championship Match 1894". ChessVille. Retrieved 2008-05-30. ^ Kažić, B. M. (1974). International Championship Chess: A Complete Record of FIDE Events. Pitman. p. 213. ISBN 0-273-07078-9. ^ Winter, E. "Kasparov, Karpov and the Scotch". ChessHistory. Retrieved 2008-05-30. ^ "Emanuel Lasker". Chess-Poster. Archived from the original on 2008-05-27. Retrieved 2008-06-05. ^ "Chess World Champions – Emanuel Lasker". ChessCorner. Retrieved 2008-11-21. ^ a b "I tornei di scacchi dal 1900 al 1909". La grande storia degli scacchi. Retrieved 2009-09-04. ^ a b "I tornei di scacchi dal 1910 al 1919". La grande storia degli scacchi. Retrieved 2009-09-04. ^ For good measure he also took first prize in a weaker tournament at Trenton Falls in 1906. ^ Winter, Edward (1999). Kings, Commoners and Knaves: Further Chess Explorations (1 ed.). Russell Enterprises, Inc. pp. 315–316. ISBN 1-888690-04-6. ^ Winter, Edward (2003). A Chess Omnibus (1 ed.). Russell Enterprises, Inc. pp. 177–178. ISBN 1-888690-17-8. ^ Winter, Edward. "Chess Note 5144: Tsar Nicholas II". ChessHistory. Retrieved 2008-11-21. ^ Stefan Löffler. "Check and Mate". The Atlantic Times. Archived from the original on 2011-05-24. Horowitz, Israel (1973). From Morphy to Fischer. Batsford. pp. 63–64. Keene, Raymond; Goodman, David (1986). The Centenary Match – Kasparov-Karpov III. Batsford. p. 6. ISBN 0-02-028700-3. Giffard, Nicolas (1993). Le guide des échecs (in French). Éditions Robert Laffont. p. 400. Edward Winter. 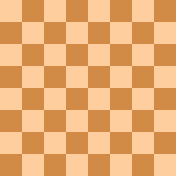 "Chess Notes 5199". ChessHistory.com. Mark Weeks. "1909 Lasker - Janowski Exhibition Matches". mark-weeks.com. ^ a b Giffard, Nicolas (1993). Le guide des échecs (in French). Éditions Robert Laffont. p. 400. ^ a b "I matches 1900/14". La grande storia degli scacchi. Retrieved 2009-09-04. ^ Isaak and Vladimir Linder (2010). Emanuel Lasker, 2nd World Chess Champion. Russel Enterprises Inc. p. 109. ^ Using average incomes as the conversion factor; if prices are used for the conversion, the result is about $45,000—see "Six Ways to Compute the Relative Value of a U.S. Dollar Amount, 1774 to Present". MeasuringWorth. Retrieved 2008-06-05. ^ a b "1921 World Chess Championship". Archived from the original on January 20, 2005. Retrieved 2008-11-21. This cites: a report of Lasker's concerns about the location and duration of the match, in the New York Evening Post, March 15, 1911; Capablanca's letter of December 20, 1911 to Lasker, stating his objections to Lasker's proposal; Lasker's letter to Capablanca, breaking off negotiations; Lasker's letter of April 27, 1921 to Alberto Ponce of the Havana Chess Club, proposing to resign the 1921 match; and Ponce's reply, accepting the resignation. ^ Jeff Sonas. "Chessmetrics Player Profile: Akiba Rubinstein". Chessmetrics. Retrieved 2008-06-04. ^ a b Horowitz, I.A. (1973). From Morphy to Fischer. Batsford. ^ Wilson, F. (1975). Classical Chess Matches, 1907–1913. Dover. ISBN 0-486-23145-3. ^ a b c "I matches 1915/29". La grande storia degli scacchi. Retrieved 2009-09-04. ^ "Berlin 1897, 1918 and 1928". Endgame. Archived from the original on 2008-06-19. Retrieved 2008-06-05. ^ a b c d e f g h i j "Lasker biography". University of St Andrews. Retrieved 2008-05-31. ^ Lasker, Emanuel (August 1895). "Metrical Relations of Plane Spaces of n Manifoldness". Nature. 52 (1345): 340–343. Bibcode:1895Natur..52R.340L. doi:10.1038/052340d0. Retrieved 2008-05-31. ^ Reshevsky, Samuel (1976). Great Chess Upsets. Arco. ISBN 0-668-03492-0. ^ Lasker, Emanuel (1901). "Über Reihen auf der Convergenzgrenze". Philosophical Transactions of the Royal Society A. 196 (274–286): 431–477. Bibcode:1901RSPTA.196..431L. doi:10.1098/rsta.1901.0009. Noether, Emmy (1921). "Idealtheorie in Ringbereichen". Mathematische Annalen. 83 (1): 24–66. Bibcode:1921MatAn..83...24N. doi:10.1007/BF01464225. Archived from the original on 2016-03-05. Retrieved 2013-09-30. For the relationship between Lasker's work and Noether's see "Springer Online Reference Works: Lasker ring". Springer. Retrieved 2008-05-31. ^ a b c d e f g h i j "Lasker: New Approaches". Lasker-Gesellschaft. Archived from the original on 2011-08-23. Retrieved 2008-11-21. ; also available at "Lasker: New Approaches" (PDF). ChessCafe. Retrieved 2008-05-02. . This refers to Sieg, Ulrich; Dreyer, Michael (2001). Emanuel Lasker: Schach, Philosophie und Wissenschaft (Emanuel Lasker: Chess, Philosophy and Science). Philo. ISBN 3-8257-0216-2. .
^ a b Many sources say Kampf was published in 1907, but Lasker said 1906 - Lasker, Emanuel (1960) . Lasker's Manual of Chess. Courier Dover. ISBN 0-486-20640-8. ^ Lasker, Emanuel (1965) [1896 (German edition)]. Common Sense in Chess. Courier Dover. ISBN 0-486-21440-0. Retrieved 2008-05-02. ^ "Chess World's Doings; Lasker to Test Rice Gambit" (PDF). New York Times. August 2, 1903. Retrieved 2008-05-02. ^ "Chess Notes by Edward Winter". Lasker's Chess Magazine: 35. November 1907. Retrieved 2008-05-02. ^ "Moravian chess publishing - Catalogue". Moravian Chess. Archived from the original on 2007-07-04. Retrieved 2008-05-02. ^ "Google Groups". groups.google.com. Retrieved 2016-04-07. ^ Hannak, J. (1959). Emanuel Lasker: The Life of a Chess Master. Simon & Schuster. pp. 152, 160–61. ^ Hooper, D.; Whyld, K. (1992). The Oxford Companion to Chess (2 ed.). p. 218. ISBN 0-19-866164-9. ^ Hannak, J. (1959). Emanuel Lasker: The Life of a Chess Master. Simon & Schuster. p. 125. ^ a b c Winter, Edward. "How Capablanca Became World Champion". ChessHistory. Retrieved 2008-06-05. Winter cites: American Chess Bulletin (July–August 1920 issue) for Lasker's resignation of the title, the ACB's theory about Lasker's real motive and Havana's offer of $20,000; Amos Burn in The Field of 3 July 1920, the British Chess Magazine of August 1920 and other sources for protestations that Lasker had no right to nominate a successor; Amos Burn in The Field of 3 July 1920 and E.S. Tinsley in The Times (London) of 26 June 1920 for criticism of the conditions Lasker set for the defense of the title; American Chess Bulletin September–October 1920 for Lasker's and Capablanca's statements that Capablanca was the champion and Lasker the challenger, for Capablanca's statement that Lasker's contract with Rubinstein had contained a clause allowing him to abdicate in favor of Rubinstein, for Lasker's intention to resign the title if he beat Capablanca and his support for an international organization, preferably based in the Americas, to manage international chess. Winter says that before Lasker's abdication some chess correspondents had been calling for Lasker to be stripped of the title. For a very detailed account given by Capablanca after the match, see Capablanca, José Raúl (October 1922). "Capablanca's Reply to Lasker (presented by Edward Winter)". British Chess Magazine. Retrieved 2008-06-05. ^ Giffard, Nicolas (1993). Le guide des échecs (in French). Éditions Robert Laffont. p. 412. ^ Golombek, H. (1959). "On the Way to the World Championship". In Golombek, H. (ed.). Capablanca's Hundred Best Games of Chess. G. Bell & Sons. p. 59. ISBN 0-679-14044-1. ^ a b c d Vladimir Kramnik. "Kramnik Interview: From Steinitz to Kasparov". Kramnik.com. Archived from the original on 2008-05-12. Retrieved 2009-01-02. ^ "I matches 1930/49". La grande storia degli scacchi. Retrieved 2009-09-03. ^ a b "I tornei di scacchi dal 1920 al 1929". La grande storia degli scacchi. Retrieved 2009-09-04. ^ "Production of Lasker trainer cancelled". ChessBase. Retrieved 2008-05-02. includes an image of part of the original newspaper report. ^ Lasker, Emanuel (1960) . Lasker's Manual of Chess. Dover. ISBN 0-486-20640-8. Retrieved 2008-06-06. ^ a b c d Johan Wăstlund (September 5, 2005). "A solution of two-person single-suit whist" (PDF). The Electronic Journal of Combinatorics. 12. Retrieved 2008-06-06. ^ a b "About Lasca – a little-known abstract game". Human–Computer Interface Research. Archived from the original on 2008-05-09. Retrieved 2008-06-06. ^ a b Culbertson, Ely (1940). The Strange Lives of One Man. Chicago: The John C. Winston Company. pp. 552–553. ^ a b "Chess and Bridge". ChessHistory. Retrieved 2008-06-06. ^ Hannak, J. (1959). Emanuel Lasker: The Life of a Chess Master. Simon and Schuster. p. 266. ISBN 0-486-26706-7. ^ Hannak, J. (1959). Emanuel Lasker: The Life of a Chess Master. Simon & Schuster. p. 268. ISBN 0-486-26706-7. ^ Litmanowicz, Władysław; Giżycki, Jerzy (1986). Szachy od A do Z. Wydawnictwo Sport i Turystyka Warszawa. ISBN 83-217-2481-7. (1. A-M), ISBN 83-217-2745-X (2. N-Z). ^ a b "I tornei di scacchi dal 1930 al 1939". La grande storia degli scacchi. Retrieved 2009-09-04. ^ Reuben Fine (1976). The World's Great Chess Games. Dover. p. 51. ISBN 0-486-24512-8. ^ "Dr Emanuel Lasker (1868–1941) – Find A Grave..." Findagrave.com. Retrieved 14 July 2018. ^ Winter, Edward. "5076. Lasker's last words". ChessHistory. Retrieved 2008-12-28. ^ Landsberger, K. (2002). The Steinitz Papers: Letters and Documents of the First World Chess Champion. McFarland. p. 295. ISBN 0-7864-1193-7. Retrieved 2008-12-28. ^ Réti wrote, "In analyzing Lasker's tournament games, I was struck by his lasting and at first seemingly incredible good luck. ... There is no denying the fact that over and over again Lasker's exposition is poor, that he is in a losing position hundreds of times and, nevertheless, wins in the end." Réti, Richard (1976). Masters of the Chessboard. Dover Publications. p. 132. ISBN 0-486-23384-7. Réti considered, but rejected as too improbable, the "hypothesis of lasting luck", finally concluding that the only explanation for Lasker's repeated success from bad positions is that he "often plays badly on purpose". Id. Réti concluded that Lasker studied his opponents' strong and weak points, and that, "He is not so much interested in making the objectively best moves as he is in making those most disagreeable to his opponent; he turns the game in a direction not suitable to the style of his opponent and on this unaccustomed road leads him to the abyss, often by means of intentionally bad moves, as I have previously described." Id. at 133. ^ Rowland, Mrs. F.F. (1899). Pollock Memories: A Collection of Chess Games, Problems, &c., &c. Chess Player's Chronicle. p. 78. ISBN 978-1-4371-9392-3. ^ Soltis, A. (2005). Why Lasker Matters. Batsford. p. 5. ISBN 0-7134-8983-9. The URL is a review by John L. Watson. Another review, with examples, is at Taylor Kingston. "Analyzing an Enigma" (PDF). ChessCafe. Retrieved 2009-01-01. ^ "Lasker's greatest skill in defense was his ability to render a normal (inferior) position chaotic": Crouch, C. (2000). How to Defend in Chess. Everyman. ISBN 1-85744-250-4. ; review including this quotation at Watson, J. "How to Defend in Chess: review". JeremySilman. Retrieved 2008-11-19. ^ Max Euwe and Hans Kramer (1994). The Middlegame. Hays Publishing. pp. 93, 101. ^ As White in Exchange Variation of the Ruy Lopez Lasker scored ten wins, three draws and just one loss, to Steinitz in 1894. Lasker also won the three recorded games in which he played the variation as Black; one was against Alekhine, in the 1914 St. Petersburg Tournament, the day before Lasker beat Capablanca. Wrinn, Steve. "Lasker and the Exchange Variation of the Ruy Lopez - Part 1" (PDF). ChessCafe. Retrieved 2008-06-09. and Wrinn, Steve. "Lasker and the Exchange Variation of the Ruy Lopez – Part 2" (PDF). ChessCafe. Retrieved 2008-06-09. ^ a b Pachman, L. (1987). "St Petersburg 1914: Drawing Variation - The Way to Victory". Decisive Games in Chess History. Courier Dover. pp. 64–68. ISBN 0-486-25323-6. Retrieved 2009-06-04. ^ Nagesh Havanur. "Why Lasker Matters – review by Nagesh Havanur". ChessVille. Retrieved 2008-11-21. ^ Capablanca, José Raúl (May 1927). "The Ideal Style of the Masters". Mundial. pp. 1–4. Retrieved 2009-01-02. ^ Garry Kasparov (2003). My Great Predecessors - Part I. Everyman Chess. pp. 187–222. ISBN 1857443306. ^ Harry Golombek (1978). Capablanca's 100 Best Games of Chess. David McKay. pp. 37, 88, 116, 222. ISBN 0-679-14044-1. ^ Reuben Fine (1976). The World's Great Chess Games. Dover. p. 50. ISBN 0-486-24512-8. ^ Bobby Fischer, "The Ten Greatest Masters in History", Chessworld, Vol. 1, No. 1 (January–February 1964), pp. 56-61. ^ Fischer, "The Ten Greatest Masters in History", p. 59. ^ Brady, Frank (1973). Profile of a Prodigy (2nd ed.). David McKay. p. 78. ISBN 0-486-25925-0. ^ Benko, Pal; Silman, Jeremy (2003). Pal Benko: My Life, Games and Compositions. Siles Press. p. 429. ISBN 1-890085-08-1. ^ Brady 1973, p. 79. ^ Keene, Raymond; Divinsky, Nathan (1989). Warriors of the Mind. Brighton, UK: Hardinge Simpole. ISBN 0-9513757-2-5. See the summary list at "All Time Rankings". Edinburgh University Chess Club. Archived from the original on 2009-11-26. Retrieved 2008-11-21. ^ Elo, A. (1978). The Rating of Chessplayers, Past and Present. Arco. ISBN 0-668-04721-6. The URL provides greater detail, covering 47 players whom Elo rated, and notes that Bobby Fischer and Anatoly Karpov would have topped the list if the January 1, 1978, FIDE ratings had been included (FIDE ratings use Elo's system). ^ Jeff Sonas. "Peak Average Ratings: 1 year peak range". Chessmetrics. Archived from the original on 2012-03-09. Retrieved 2008-06-10. Jeff Sonas. "Peak Average Ratings: 5 year peak range". Chessmetrics. Archived from the original on 2012-03-09. Retrieved 2008-06-10. Jeff Sonas. "Peak Average Ratings: 10 year peak range". Chessmetrics. Archived from the original on 2012-03-09. Retrieved 2008-06-10. Jeff Sonas. "Peak Average Ratings: 15 year peak range". Chessmetrics. Archived from the original on 2012-03-09. Retrieved 2008-06-10. Jeff Sonas. "Peak Average Ratings: 20 year peak range". Chessmetrics. Archived from the original on 2012-03-09. Retrieved 2008-06-10. ^ Jeff Sonas (2005). "The Greatest Chess Player of All Time – Part IV". ChessBase. Retrieved 2008-11-19. Part IV gives links to all three earlier parts. ^ "Chessmetrics Player Profile: Emanuel Lasker". Chessmetrics.com. Retrieved 2009-06-05. ^ "Age-Aligned Rating List: 67 years, 0 months". Chessmetrics.com. Retrieved 2009-11-11. ^ ChessGames.com. "Euwe–Lasker Results". Retrieved 2008-12-03. ^ a b c Michael Jeffreys. "Why Lasker Matters - review by Michael Jeffreys". ChessVille.com. Retrieved 2008-06-10. ^ Crouch, C. (2000). How to Defend in Chess. Everyman Chess. p. 115. ISBN 1-85744-250-4. ^ Lasker's Defense: Fine, R. (1948). The Ideas behind the Chess Openings. Bell. p. 63. ISBN 0-8129-1756-1. Revival: De Firmian, N. (2000). "Evans Gambit". Batsford's Modern Chess Openings. Batsford. p. 26. ISBN 0-7134-8656-2. ^ "French Defense". ChessVille.com. Retrieved 2008-06-10. ^ Lasker wrote "I who vanquished him must see to it that his great achievement, his theories should find justice, and I must avenge the wrongs he suffered". Lasker, Emanuel (1960) . Lasker's Manual of Chess. Dover. ISBN 0-486-20640-8. Retrieved 2008-05-31. ^ Lasker, Emanuel (January 1905). "From the Editorial Chair". Lasker's Chess Magazine. 1. Retrieved 2008-05-31. ^ Edward Winter. "Chess Note 4767 Copyright". ChessHistory.com. Retrieved 2008-06-25. ^ Edward Winter. "Copyright on Chess Games". ChessHistory.com. Retrieved 2008-06-25. ^ "Jose Raul Capablanca: Online Chess Tribute". ChessManiac.com. 2007-06-28. Retrieved 2008-05-20. ^ "New York 1924". ChessGames.com. Retrieved 2008-05-20. ^ Graham Clayton. "The Mad Aussie's Chess Trivia - Archive #3". ChessVille.com. Archived from the original on 2008-05-16. Retrieved 2008-06-09. ^ He defined the primary decomposition property of the ideals of some commutative rings when he proved that polynomial rings have the primary decomposition property. ^ Derbyshire, J. (December 2006). "12: The Lady of the Rings". Unknown Quantity: A Real and Imaginary History of Algebra. National Academy Press. pp. 234–235. ISBN 0-309-09657-X. Retrieved 2008-12-29. ^ Leonard, J. "Working Paper - New Light on von Neumann: politics, psychology and the creation of game theory" (PDF). Department of Economics, University of Turin. Retrieved 2008-05-01. ^ Hannak, J. (1952). Emanuel Lasker, The Life of a Chess Master. ISBN 0-486-26706-7. Retrieved 2009-01-05. ^ " Emanuel Lasker's Manual of Chess is the most expressly philosophical chess book ever written" Shibut, M. "Modern Chess Anarchy?". Archived from the original on 2008-12-03. Retrieved 2008-11-21. ^ "History of Go in Europe 1880-1945". Archived from the original (– Scholar search) on May 28, 2006. Retrieved 2008-11-21. ^ "London 1883 and 1899". Endgame.nl. Archived from the original on 2008-06-19. Retrieved 2008-05-29. ^ "Emanuel Lasker vs. Johann Hermann Bauer, Amsterdam 1889". Chessgames.com. ^ "Harry Nelson Pillsbury vs. Emanuel Lasker, St Petersburg 1895". Chessgames.com. ^ "Wilhelm Steinitz vs. Emanuel Lasker, London 1899". Chessgames.com. ^ Tartakower, S.G.; Du Mont, J. (1975). 500 Master Games of Chess. Courier Dover Publications. p. 270 (game number 209). ISBN 0-486-23208-5. Retrieved 2008-12-29. ^ "Frank James Marshall vs. Emanuel Lasker, World Championship Match 1907, game 1". Chessgames.com. ^ Capablanca, J.R. (1994). "Example 30". Chess Fundamentals (Algebraic, 1994 ed.). London: Everyman Chess. ISBN 1-85744-073-0. Retrieved 2008-12-29. A key position is discussed at Mark Weeks. "Endgame: Marshall - Lasker, 1907 Match, Game 1". Retrieved 2008-12-29. ^ "Emanuel Lasker vs. Carl Schlechter, match 1910, game 10". Chessgames.com. ^ Pachman, L. (1987). "11: World Championship Match 1910". Decisive Games in Chess History. Russell, A.S. Courier Dover Publications. pp. 48–51. ISBN 0-486-25323-6. Retrieved 2008-12-29. ^ "Emanuel Lasker vs. Jose Raul Capablanca, St Petersburg 1914". Chessgames.com. ^ "Max Euwe vs. Emanuel Lasker, Zurich 1934". Chessgames.com. ^ Crouch, C. (2007). "Game 9". How to Defend in Chess: Learn from the World Champions. Gambit Publications. ISBN 1-904600-83-2. Retrieved 2008-12-29. Chernev, Irving (1995). Twelve Great Chess Players and Their Best Games. New York: Dover. pp. 143–162. ISBN 0-486-28674-6. Hannak, J. (1991) . Emanuel Lasker: The Life of a Chess Master. New York: Dover. ISBN 0-486-26706-7. Soltis, Andrew (2005). Why Lasker Matters. Batsford. ISBN 0-7134-8983-9. Whyld, Ken (1998). The Collected Games of Emanuel Lasker. The Chess Player. Winter, Edward (1981). World chess champions. Oxford. ISBN 0-08-024094-1. Wikimedia Commons has media related to Emanuel Lasker. "Emanuel Lasker Society". Lasker-gesellschaft.de. Archived from the original on 2004-01-31. O'Connor, John J.; Robertson, Edmund F., "Emanuel Lasker", MacTutor History of Mathematics archive, University of St Andrews . "About Lasca – a little-known abstract game". Human–Computer Interface Research. Archived from the original on 2008-05-09. Tryfon Gavriel; Janet Edwardson. "Biography of Emanuel Lasker". Barnet chess club. Jacobs, Joseph; Porter, A. (1901–1906). "Lasker, Emanuel". In Singer, Isidore (ed.). Jewish Encyclopedia. 7. pp. 622–3. Retrieved 2008-11-21.